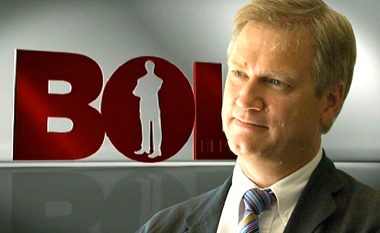 Right-wing columnist and TV host Andrew Bolt has called for the TV Week Logies to be renamed ‘the Lefties’ after last night’s ceremony which saw Channel 10 personality Waleed Aly win the Gold Logie and Hall of Fame inductee Noni Hazlehurst comment on Australia’s refugee policy and diversity on television. Speaking to The (un)Australian after the ceremony Mr Bolt said: “It may as well be called the Lefties rather than the Logies. I mean Waleed Ali, really? Where was the nomination for The Bolt Report? The show that when cancelled by Channel 10 was immediately snapped up by another network? Andrew you are correct in everything you have said. You are a genuine honest person.